Mongolia Quests ambition is to create the best travel and educational experiences in the region and for this reason, we team up with the country’s experts and rural community to create learning opportunities. These tours are unique with national and international experts contributing as our study leaders to share their knowledge and expertise. Our scientific programs provide access to archeological digs, paleontological expeditions and snow leopard collaring projects in partnership with scientists from Mongolia’s Academy of Science Mongolia Quest contributes to these national research projects directly, to sustain them for the future. Many of Mongolia Quest’s past clients have volunteered their time in Mongolia on their second and third visits and some even have fallen in love with the country so that they pursued academic and professional careers. There are many volunteer opportunities in Mongolia. Our volunteers have helped clean fossils at the lab of the Paleontological Institution, trained park rangers, taught English in rural schools, and have helped various non-governmental organizations with capacity building. Contact us for more information about volunteering opportunities. This pioneering expedition is arranged under the auspices of the Mongolian Paleontological Center with a goal of assisting its scientific research and field study projects through sustainable tourism. Participants will be led by Dr. Tsogtbaatar, who is one of Mongolia’s leading paleontologists, along with young Mongolian scientists and our field staff. Our trip begins in Ulaanbaatar, where we will visit several of the best-known museums and sites such as the Gandan Monastery, National History and Fine Arts Museums. We will also tour Mongolian Paleonto-logical Laboratory. 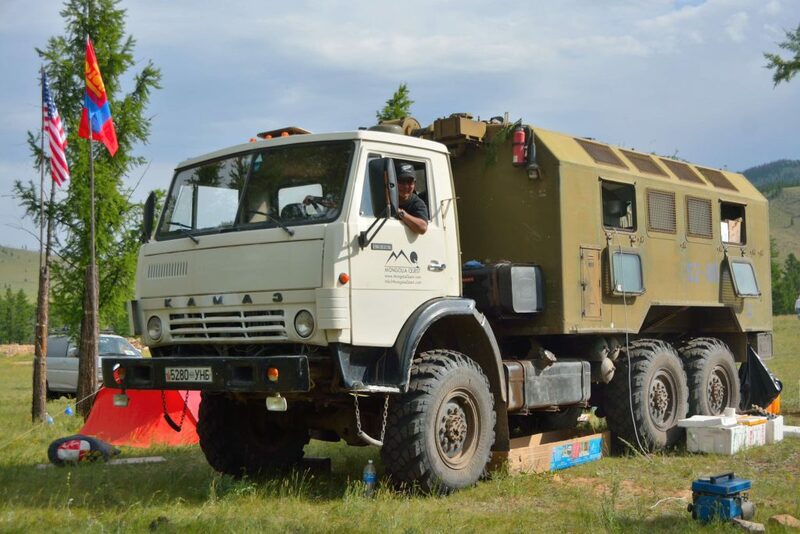 We will then fly to the heart of the Gobi desert from where we will continue traveling overland to the eastern part of the Gobi where some of the most scenic and obscure landscapes await us. This part of the Gobi belongs to the early Cretaceous, about 80-93 million years ago, which was a key period for dinosaur evolution. For the remainder of this trip, we will be living a life of true paleontologists, joining the research team in their daily work with a chance to participate in actual excavations and make new discoveries. Hearty meals will be served each day by our expert field-chef following adventurous days of field prospecting and working. Over two millennia ago, a powerful confederacy of nomadic tribes known as the Xiongnu Empire (Hunnu in Mongolian) thrived in what is now Mongolia. For many Mongolians, this is when the nation began. 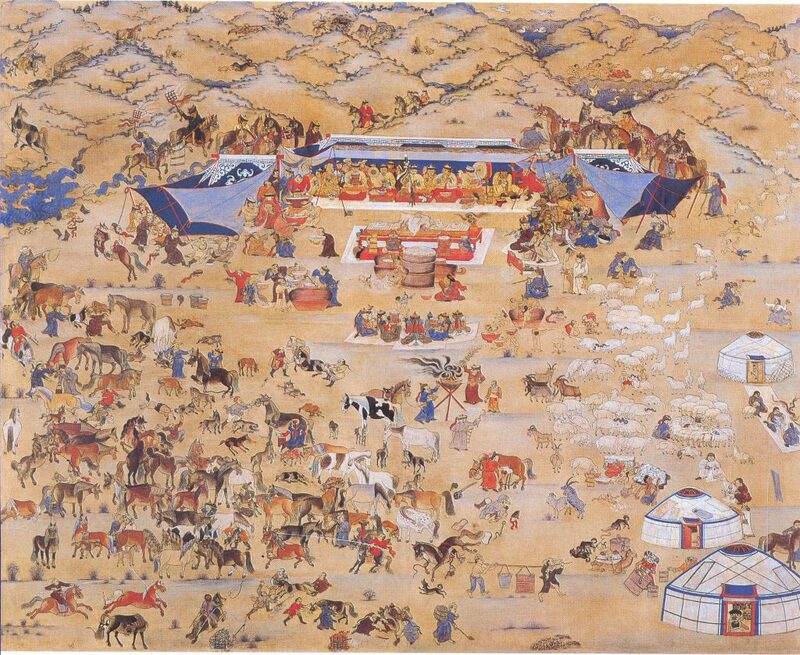 Xiongnu were the dominant power in Central Asia, forcing its southern neighbor, the Han dynasty to maintain a “peace and kinship treaty.” Dr. Erdenebaatar of Ulaanbaatar State University and his dedicated archaeological team have been excavating largest known tomb of Xiongnu aristocrats to date. The site, known as Gol Mod-2, is located in the picturesque Arhangai Province. Excavations have yielded never before seen crafts of the Xiongnu Empire, including gold, silver, and jade ornaments as well as parts of horse chariots, tools, and human and animal remains. In June of 2015, this team is planning to open yet another tomb at the site. 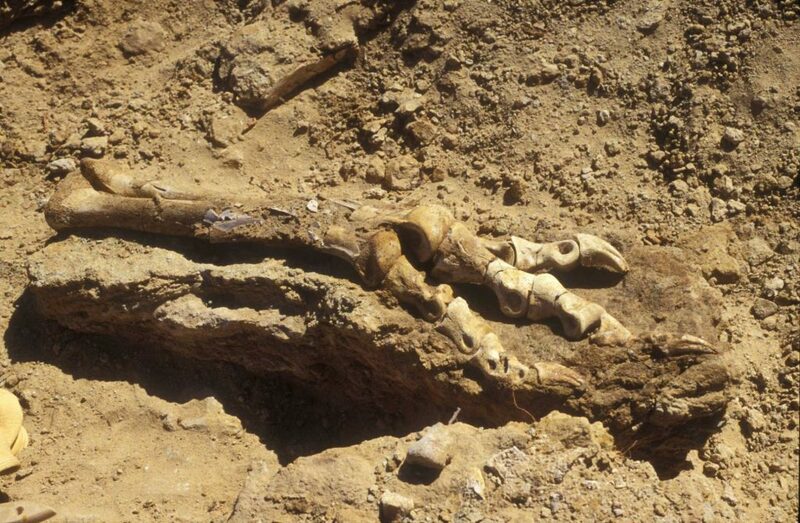 On this “Empires of the Steppe” tour, we will be given exclusive access to visit the excavation site and to spend a few days with the scientists and students. We will have the opportunity not only observe the excavation work, we will be able to help in unearthing an ancient treasure never seen before by the modern world. We invite you to join us on this exclusive departure to discover Mongolia with one of our expert national guides. With a focus on history, nomadic heritage, flora and fauna and geography, this is one of our most comprehensive quests for discovering Mongolia. Our trip begins with a flight north to Lake Hovsgol, Mongolia’s “mother ocean” which contains 1% of the world’s fresh water. The lake is considered to be the headwaters to Lake Baikal located not far away, in Siberia, and is one of the oldest lakes in the world. The journey then continues overland to the 13th century Mongolian capital site of Kharakhorum in Orhon Valley, then south to the Gobi desert where our trip concludes. This ambitious, off-the-beaten-path quest will take us through some of the most diverse ecosystems of Mongolia. We will examine ancient burial sites, historical landmarks, Buddhist monasteries, nomadic families and paleontological localities with a series of interesting talks provided by our expert national guide. You will also have the opportunity to fish, trek and ride horses and camels while enjoying meeting local nomads along the way. Mongolia is a place with rich cultural and natural heritage. It is believed that Buddhism came to Mongolia three times, starting from the times of Silk Road and early nomadic states (Xiong-nu and Uighur states, 1st-8th centuries CE), through the times of the Great Mongol Empire and lastly during Qing period (1644-1912). In 1578 during the third wave it came from Tibet when Altan Khan has proclaimed Sonam Gyatso, a leader of a rising Gelug School, a Dalai Lama (“Oceanic Teacher”). In return he himself was recognized as a manifestation of Vajrapani, a wrathful protector of Tibetan Buddhism. Since then Buddhist monasteries have sprung around Mongolia in many numbers and by the early 20th century have reached 4000 in number. 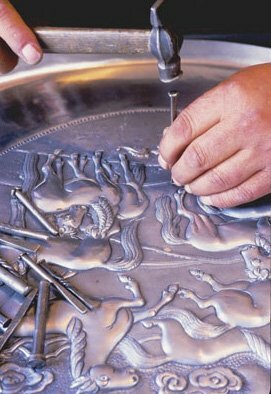 During the 300 years of history, Mongolian artisans have created thousands of masterpieces, established own school of Buddhist art and have been recognized throughout the world as a Buddhist nation with its own distinct style, iconography and themes. Join Dr. Uranchimeg Tsultem on this eye opening expedition through central Mongolia and learn about different forms of Buddhist art and Mongolian content. Visit ruins of ancient cities and monasteries once towering the steppes of Mongolia and Ulaanbaatar city. Meet the modern day nomads roaming the vast steppes of Mongolia, whose lives essentially have not changed for over several millennia. It is impossible to visit Bhutan for only cultural or natural heritage aspects alone for both are intertwined with one another inseparably. We developed a unique itinerary featuring the both. 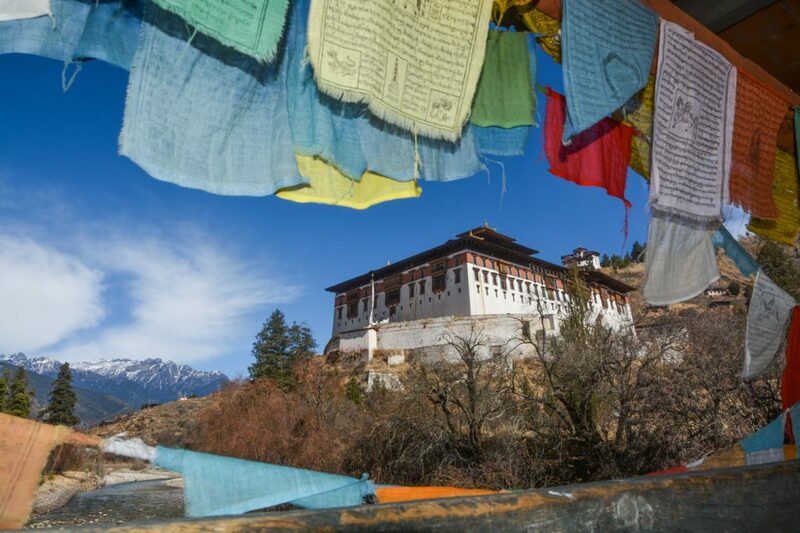 Bhutan’s culture and heritage is full of mystic, shrouded in the mist of time. This itinerary offers a unique opportunity to glimpse the past and see how it remains entwined in every day life. We will walk in the beautiful landscape, hike to monasteries clinging to the cliff-face, explore the pristine forests looking for rare and endangered birds and mammal, visit dzong’s and be amazed how such buildings still stand without mortar or nails, understand a little of the history of Bhutan in the Ta Dzongs and museums and witness the heritage of this magical kingdom where ‘Gross National Happiness’ is ever present! Expected climate ranges from warm tropical to temperate and colder at higher altitudes. 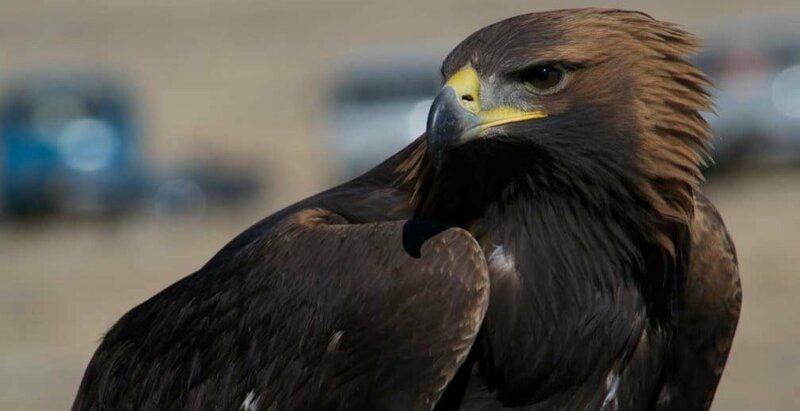 The Golden Eagle Festival was co-founded by Mongolia Quest’s CEO Badral Yondon over 19 years ago. Every year, over 70 Kazakh hunters, who train Golden Eagles for hunting, gather in a valley of the Altai Mountains to celebrate the Golden Eagle Festival. There’s no age and gender restriction and in fact, the winner of the 2014 festival was a 13-year-old girl who was taught to hunt with her eagles by her grandfather. Passed down through the generations, the skill of hunting with eagles was only preserved among the Mongolian Kazakh community in Mongolia. Thanks to this festival, in the past 15 years this unique tradition is coming back. This trip is one of the best examples of sustainable tourism supporting the local community. Our journey begins in the Gobi Desert, a diverse ecosystem of Mongolia where high mountains, dry basins and grasslands all co-exist together. Spend two full days at Gobi’s tallest sand dunes, the magnificent Hongoryn Els for various photo opportunities. Next, fly over the high mountains to the western most part of Mongolia, to participate in the annual Golden Eagle Festival. For two days, experienced hunters will compete with their eagles to test the eagles’ agility and hunting skills. Enjoy spending a private time with hunters for a close-up interaction with the hunters and their raptors. Naadam means games. Naadam originally was a way to train men to the military skill: every soldier had to be able to ride fast, shoot arrows and wrestle with enemies during combat. In Mongolia, with its scarce population and nomadic ways, where individual herders live far apart from each other it was important to come together from time to time for training. That is why the Naadam often referred to as 3 manly sports: horse racing, archery and wrestling. As time passed it became a way to celebrate important events and not necessarily the same men were participating in all three sports. July 11 and 12th commemorate regaining of Mongolian independence in 1921. During Naadam even a city dweller puts on his best traditional costume and joins everyone else to celebrate these games. In these games the fame and honor are more important than the prizes. There is no betting involved in any of the sports. Join us to witness this colorful festival where best of the athletes and archers, fastest of horses from around the country come together and compete for three days for the honor of being named the best of the best. © 2014-2019 Mongolia Quest. All Rights reserved.